7 ideas for a beautiful backyard kitchen Which type of backyard kitchen did you fancy? Are you the type of person who likes to entertain guests at the garden area? If so, then you're going to love these 7 beautiful backyard kitchen design ideas that will enable you to serve food easily to where your guests are. Here are a few semi-open styles that will make your kitchen light and airy and closer to nature. Having the kitchen in a semi-outdoor space is perfect for homes, you wouldn't have to worry about the smell or the smoke filling other parts of the home. You can have a small dining space along the garden or the kitchen where you can have a nice bonding time with your family and friends. Ready?… Let's check them out! 1. 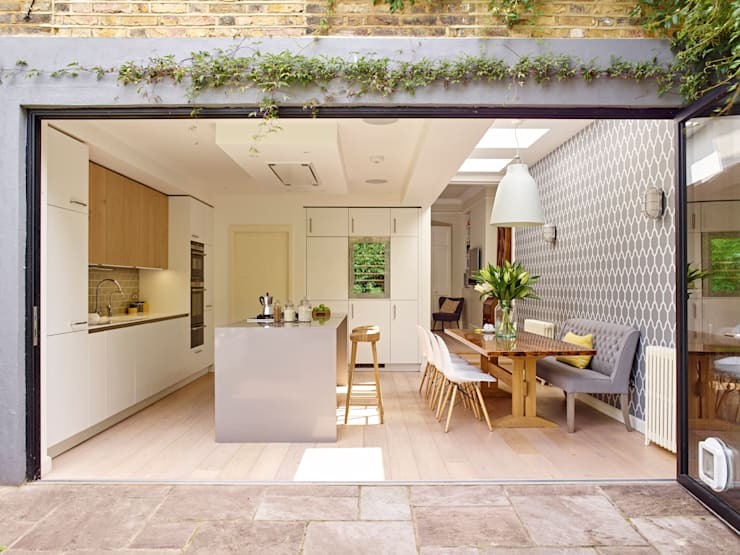 A kitchen that opens up to a large garden. 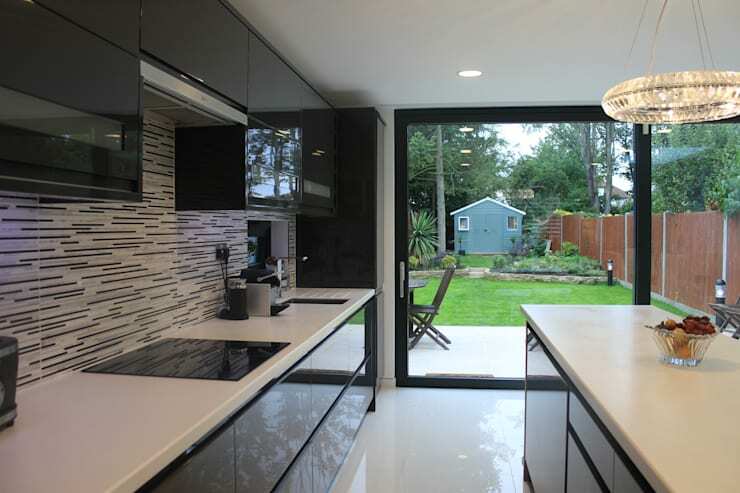 Having a kitchen that is open to the garden is a refreshing and wonderful experience for the cook, as well as for those who are going to dine. The person cooking can easily entertain the guests while enjoying the beauty of nature. Also, there is a sliding glass door that can be closed up when it's raining as well as at nighttime for security reasons. 2. Adding in a sunroof for a brighter atmosphere. Another concept that can make this space more interesting is by having a sunroof brighten up the atmosphere. The warm sunny vibe is comforting along with the beautiful pale blue wallpaper and the charming dining set. Along the kitchen is a large island that also has other functions. 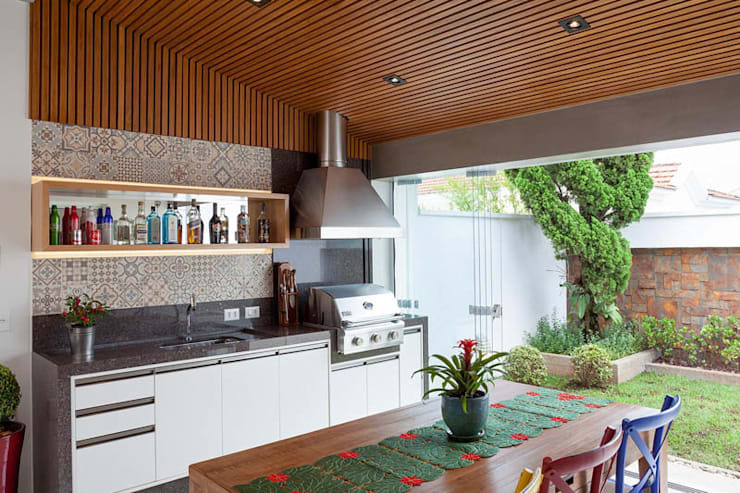 As for this kitchen, it opens up to a beautiful patio space. 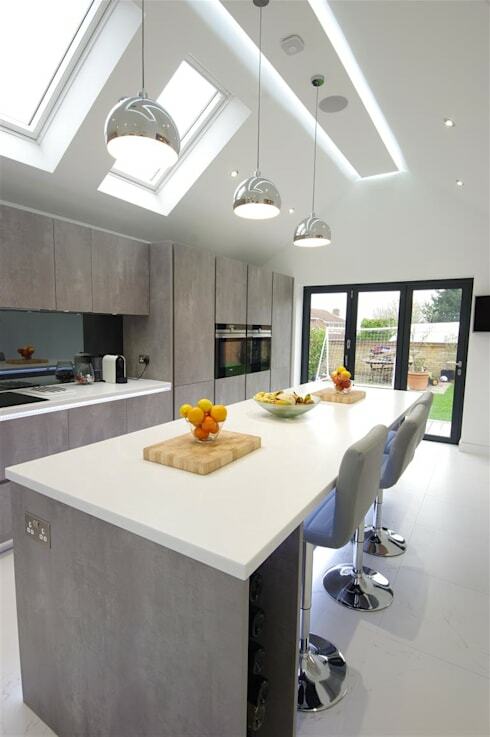 Preparing food with family and friends is sure to be a fun activity in a kitchen like this. 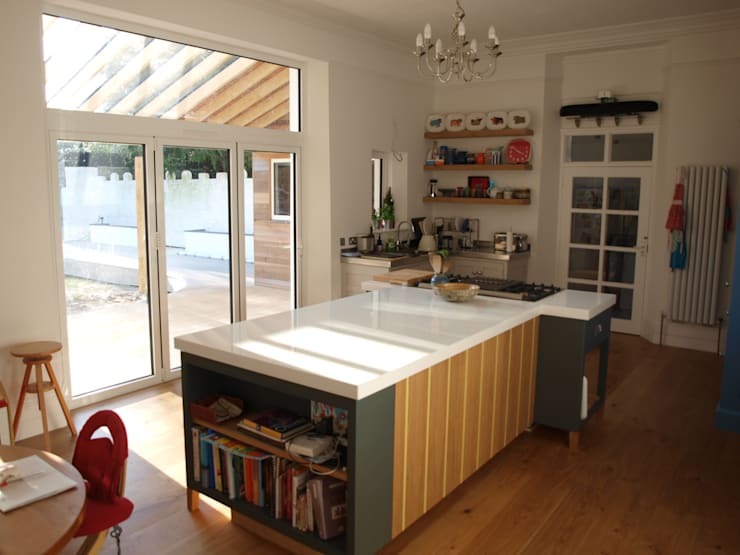 This modern style kitchen opens up to the garden where the children play soccer, a wonderful way for parents to be able to watch over the kids. The center island also has bar stools that allow the one cooking to entertain guests or have other people help with prepping the food. Having that classic glossy black and white kitchen is such a wonderful ageless design. Having this modern style with a beautiful view of the garden is truly close to perfection. Having an outdoor dining set along the patio that is accessible to the kitchen is also a pretty efficient way to manage having guests over. Having that moroccan style kitchen is quite eye-catching with its warm colourful tones. Having a backyard kitchen along the swimming pool is a great idea for those who spend a lot of time swimming or just lounging along the poolside. Choice of natural earthy materials. 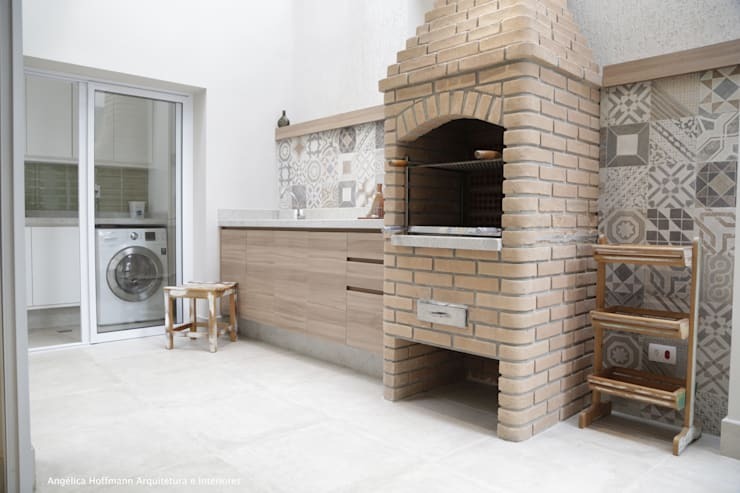 Feel closer to nature by simply using natural materials such as brick and wood. Also, being able to use a brick oven really has that novelty that some people want in their style of cooking.